Habit: Schinus terebinthifolia grows as a large shrub to tree to 8 meters in height with peeling, scaly bark. The pinnately compound leaves are arranged alternately, to 16 cm long with 7- 11 sessile leaflets. The leaflets elongate to oblong, with a notched leaf margin, acute leaf apex and to 5 cm in length. Distribution in Bahamas/Globally: Schinus terebinthifolia is native to South America and now grows throughout the northern Bahamian Archipelago as a Non-Native Invasive. 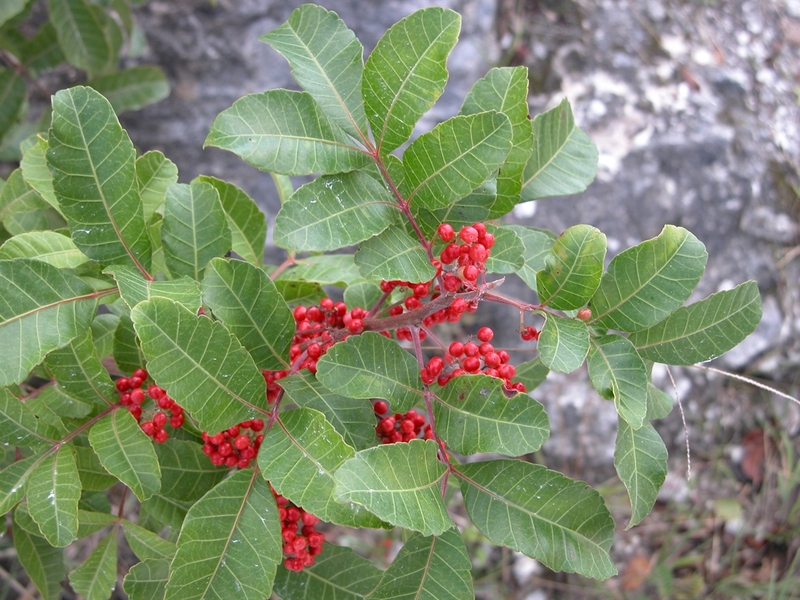 Medicinal/Cultural/Economic usage: Schinus terebinthifolia is not used medicinally in the Bahamas.